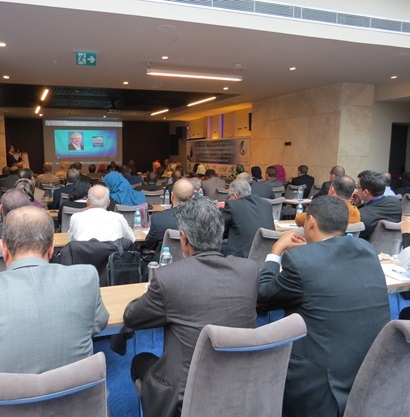 PSIPW was the official patron of the 8th International Conference on Water Resources and the Environment, held in Istanbul Turkey from 19-22 October by the Euro-Arab Organization for Environment, Water and Desert Researches (EWDR). The theme of the conference was: “Water Security and Environmental Preservation to Guarantee Food Security and Sustainable Development”. Water security is a major concern throughout the Middle East,a water scarce and water stressed region. It is a crucial factor in any development plan for the region as a whole and its countries. The sessions were chaired by leading officials and scientists from the region, including Dr Adham al-Assafi, Director of Anbar University’s Centre for Desert Studies, and Dr Sabri al-Hitti, General Secretary of the Arab Geographical Union.